We are engaged in manufacturing, supplying and exporting a diverse assortment of rugs and carpets to our esteemed customers. Our products are highly regarded in the industry for their distinctive designs, alluring appearance and longevity. 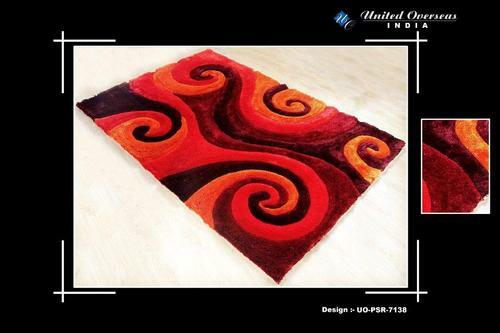 We offer a wide range of shag rugs, hand tufted carpet, handloom carpet and bath rugs that exhibit superior quality and excellent craftsmanship. these items are the result of long hours of hard work and passion to create something new and innovative. the products manufactured by us are exported to far distant countries and appreciated by all. The collection is gorgeous, attractive and very useful at the same time thus making them the best buy. Our range includes shaggy wool rugs, cotton chenille rugs, embroidered shaggy rugs, hand tufted woolen carpets, polyester shaggy carpets, striped shag carpet, leather shag carpet, shaggy wool rugs, embroidered floor carpets, handmade shaggy carpets, leather shag carpet.